Watch, vintage Rolex. Bracelet, Jewel rocks. Blazer, Filippa K. Shirt, Hope. Jeans, Acne Studios. Sandals, ATP. I have spent the day going from meeting to meeting. And this blazer sure makes me feel like a business woman. But now it’s finally Friday afternoon – this might have been one of the longest weeks ever. Tomorrow I am visiting a friend living on the countryside. We are going to go on a antique hunt, I will bring my camera so I can show you all the good spots. Happy weekend to you all! 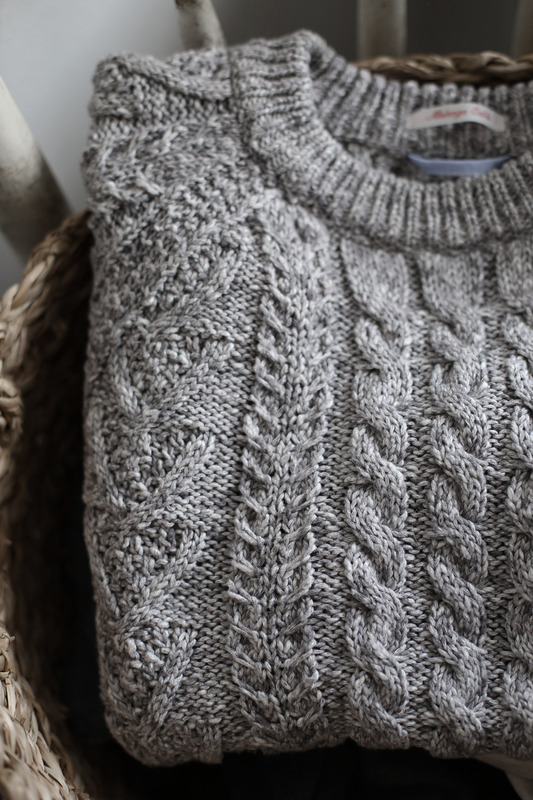 I had this grey melange cable knitted sweater that I found in London 5 years ago. I would wear this sweater all the time. Matched with a lace dress and heals or with a peacoat and jeans. Since I lost it last year I have been looking for something similar. And yesterday I finally found it at Gant Ruggers mens department. The composition is eighty procent cotton and twenty procent lin, which makes this sweater perfect all year around. It breathes in the summer and warm enough for winter. 1.Sweater. 2.Top. 3.Tank. 4. Tank. 5. Bikini. 6. Shorts. 7. Sweater. The heat has finally come to Stockholm, giving us hope of warm summer days – and Midsummer is just around the corner! And in what better way can you spend a hot summer day than in fine crochet dress or top?